One can’t help but marvel at Bangkok’s cultural diversity. 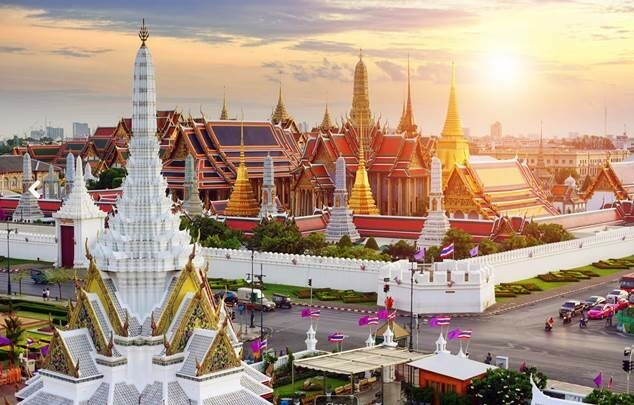 Centuries-old temples are found alongside futuristic buildings, and the incomparable flavors of Thai cuisine meld with gastronomy from around the globe. 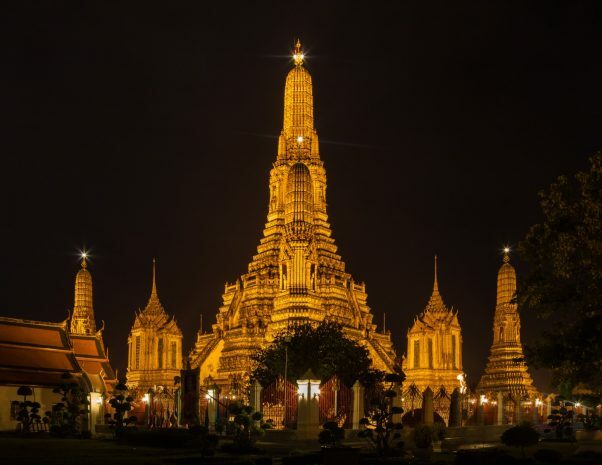 A must-see on your list of things to do is Wat Pho. The city’s oldest and largest temple dazzles visitors and locals alike with its vibrant colors, shiny gilding and 45m-long reclining Buddha. Nearby are Wat Phra Kaew and the Grand Palace, both equally impressive and historically significant. Wat Arun, often called Temple of Dawn, is one of the city’s symbols. Take a evening cruise along the Chao Phraya river for dazzling views of this cultural treasure, its illuminated form lighting up the night and reflecting in the water. Wander around the Chinese quarter with its many stalls and neon lights, or visit the National Museum to explore the wonders of Thai artistry. Beyond an extraordinary sense of welcome, the capital of the “Land of Smiles” overflows with countless treasures.